Barons potent offense could not solve the Drager-led defense as BMT go up 1-0 in an ace vs ace championship tilt. After 9 innings of championship baseball, in the best weather we've seen all Fall, only two runs have been scored. In a pitchers' duel, Barons' gunslinger McClure faced off against BMT ace Drager, and neither pitcher disappointed. 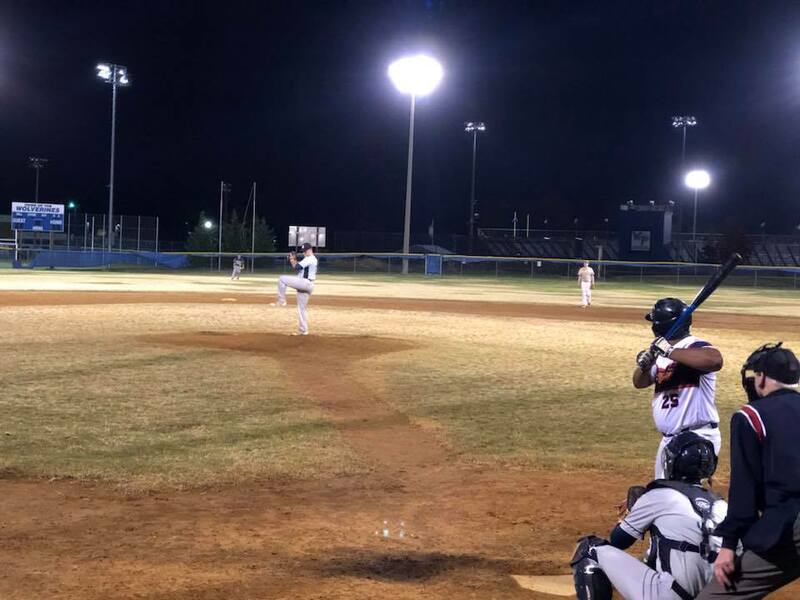 With the mercury clocking in at a balmy 65 degrees under the lights of West Potomac at game time, this offensive logjam could not be chalked up to Fall Ball weather; the pitchers and their defenses earned each of the 54 outs. McClure did his part, striking out 13 in 8 innings pitched, but it wasn't enough. Drager for the BMT went all 9 innings, scattering 4 hits to get the Game 1 win. The difference maker in the game was Witkowski's RBI double in the top of the 4th, to easily score Fanelli who tripled in the previous at-bat. Arlington BMT added another run in the 6th on a Barons miscue, but it proved unnecessary, as Drager closed out the CG shutout with a 1-2-3 ninth inning for the 2-0 win. BMT lead the Fall 2018 championship series 1-0. Game 2 is Saturday 10am at Frank Mann.